After almost 20 years of pursuing the dream of a permanent Hillel center near UC San Diego, Hillel of San Diego is nearly at the finish line. 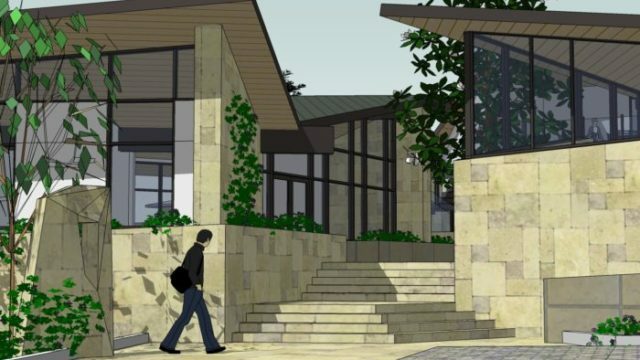 The San Diego City Council will be asked to make a final decision on the Beverly and Joseph Glickman Hillel Center on July 11. It is time to approve this important project. My father, Joseph “Chickie” Glickman, a neighbor of the project site, made the decision to be the lead donor to make this Hillel Center a reality. He did this because he believes passionately — as do I — that Hillel is the answer to one of the most important challenges of our time. Hillel works with young people at a time when they are setting patterns for their adult lives. Hillel is there to provide support and guidance to the young people they serve during this most formative time. Hillel speaks to their sensibilities and needs with sophisticated, compelling programs offered by nurturing educators. My father’s gift is a vote of confidence in the mission of Hillel and his belief in the importance of passing strength to the next generation — placing our trust in young people as the guarantors of our shared future. 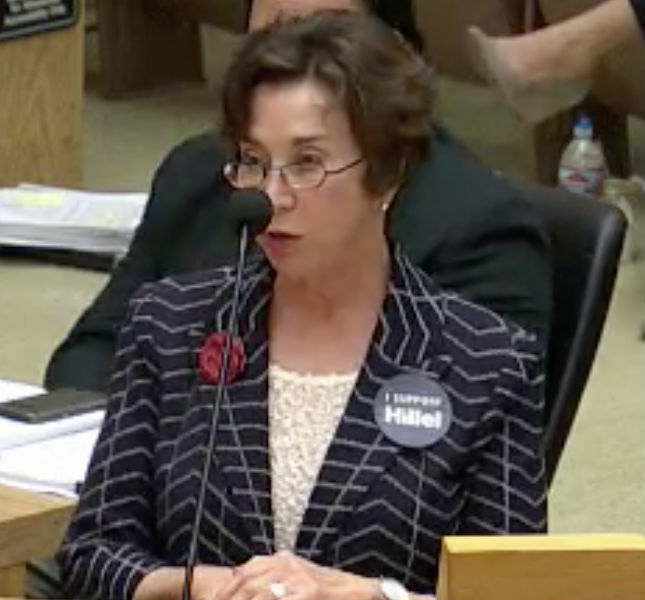 Elaine Galinson speaks to the Planning Commission in April. In addition to providing a spiritual home for Jewish students at a critical juncture in their lives, Hillel also plays an important role helping students engage in increasingly diverse campus environments. At a time when our country and the world seem divided and tumultuous, Hillel provides an important centering presence that helps students feel at home and connected to their community. Hillel encourages and supports students to be active participants in the broader community, and to make a positive impact in the world around them. Through leadership programs and active community service, Hillel helps our students grow to become better citizens of the world. As a longtime La Jolla resident, I understand the importance of ensuring that new projects respect and enhance the communities where they are located. Hillel has spent years listening to the community and has responded with a project that is designed in a size and scale that complements the neighborhood, will add a beautifully landscaped area that will be open to the public, and will result in no adverse environmental impacts. It will replace an unsightly vacant lot with an inviting new entrance to the community. 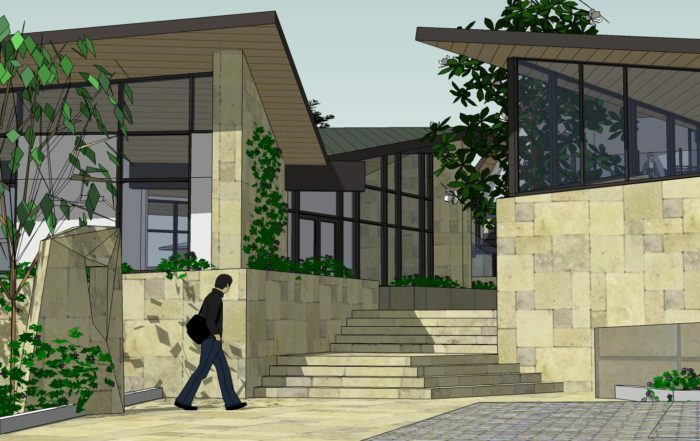 I am confident that the Glickman Hillel Center will be a positive addition to the La Jolla Shores community. The time has come to make the Glickman Hillel Center a reality. UC San Diego’s Jewish students deserve a permanent home where they can build meaningful connections to their Jewish heritage and receive the spiritual and professional guidance they need to grow, prosper, and give back to their communities. Elaine Galinson is a longtime La Jolla resident, philanthropist and community leader. More information about the Hillel project is at ucsdhillel.org.